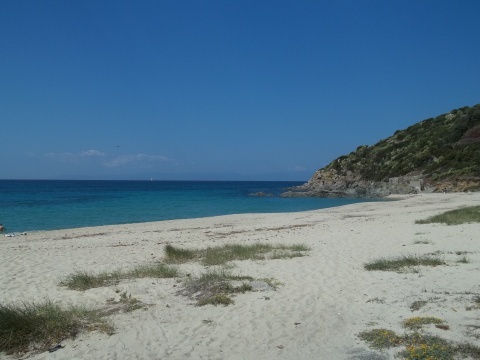 The beautiful beach of Kal’e Moru is situated near Geremeas, in the Municipality of Quartu Sant’Elena. Here, the closeness with the Park of Sette Fratelli and the sea creates a suggestive show. The beach ( 3 kilometres long ), has a white sand bottom and is surrounded by rocks. Its name is related to the Saracen invasion (they were called also “Morus”), which have visited these coasts for a long time. A low sea bottom and a continuous wind make Kal’e Moru the ideal place for surfers and also for people who love fishing under water.